Get rid of waste with Flywheel. Flywheel the first Lean CRM designed to help manufacturers build strong relationships with customers/dealers using automation. Why do Manufacturers & Distributors choose Flywheel? Guides taking the right action. 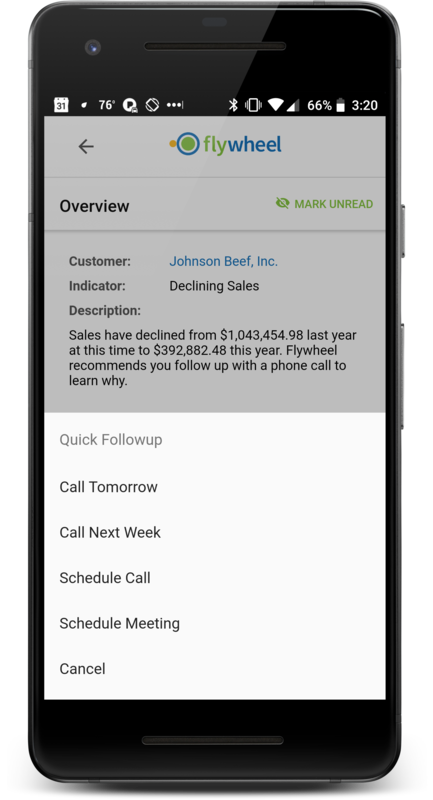 Flywheel CRM watches customer/dealer buying trends & activity levels and notifies you when it’s time to take action. Flywheel acts as your helpful automated sales assistant. It automatically tracks activities, notifies you of progress, and reminds you to follow up so you can focus on building key relationships. Built for Manufacturers & Distributors. Flywheel CRM is built exclusively to meet the unique needs of manufacturers & distributors. The days of complex CRM bloatware are over. Can Flywheel help me get more efficient? Spend 15 minutes doing our Sales Efficiency Assessment and get a personalized report with our findings. Flywheel notifies you right away if a customer or dealer’s buying behavior changes, prompts you to take action before it’s too late. Set goals for key customers or dealers, track purchasing against plan. Create tailored marketing messages to your prospects, customers & dealers using the data Flywheel collects. 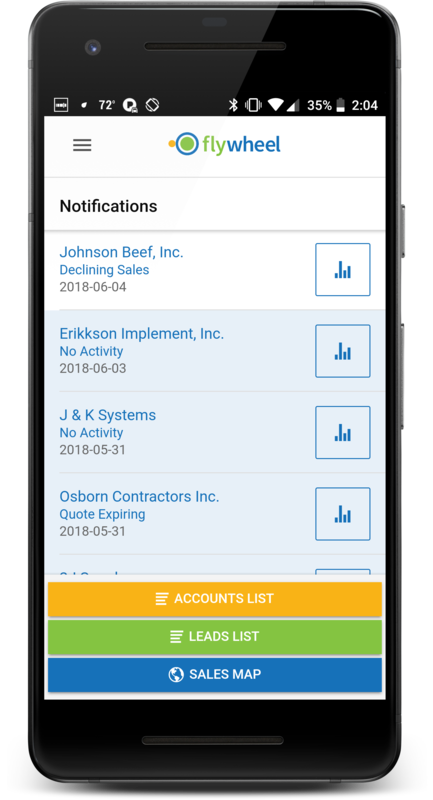 Give your dealers limited mobile access to Flywheel to collaborate with your team on leads, get reminders to take action. Our rules-based engine can distribute leads automatically to dealers based on geo, product line, or other logic. Get reports on follow up promptness, close rate, inbound vs. outbound leads etc. 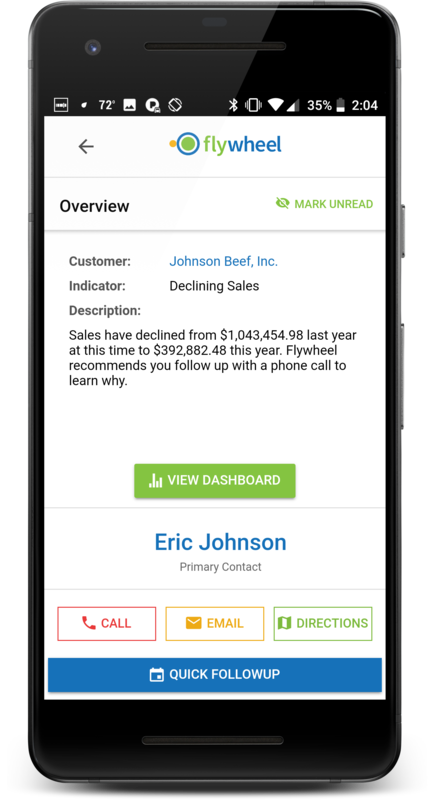 Flywheel helps busy salespeople do more with push notifications & automatic activity logging. Our CRM web app puts you in the driver’s seat to automate & streamline. We connect your ERP data securely to the Flywheel cloud. Daily copy of select ERP data your ERP data to Flywheel. Installable package for your server with secure connection to the Flywheel cloud. Connection to account, contact, order, and quote data for crunching by Flywheel. Monitoring by the Flywheel team to make sure your data is updating. Flywheel is an affordable monthly service. Flywheel is a cloud app that connects to devices and software you already own. Flywheel includes installable apps on iOS/Android, a web app that runs in Chrome, and an ERP Connector & Gateway that securely sends ERP data to the Flywheel cloud. Data formatting engine for your CRM and ERP data. Daily data mining/crunching routine to find actionable insight. Push notifications to Flywheel mobile and web apps. 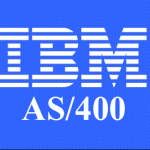 Ability to enable/disable notifications on a customer-by-customer basis. For more information on our onramping process, see our Getting Started Guide. Get the Flywheel app from the Play/App Store. Enable read-only access to your ERP database (we will assist with selecting the best method). Provide guidance to the Flywheel team on locating select ERP data fields. Install the Flywheel ERP Gateway on your server. Operating System: Windows 7/10 or Server 2008+ on the same network as your ERP system for Flywheel to install our ERP Gateway. Connectivity: Temporary VPN or other remote access method for Flywheel to install the ERP Gateway. * iOS only automatically logs outgoing calls and SMS messages initiated from the Flywheel app due to Apple restrictions. * To enable automated email logging, you must purchase the Exchange Connector (additional $10/user/mo).